New Mexico Statute 66-8-102 defines “driving while intoxicated” (DWI) as driving with a blood alcohol concentration of .08% or greater. If a driver shows signs of impairment, they may be arrested for driving while intoxicated and face DWI sentencing guidelines if convicted. All offenses also require the installation of an ignition interlock device from one to three years. Other administrative fees and legal consequences, like community service and/or probation, may also follow. In Albuquerque, NM, any subsequent DWI arrest may put you at risk for vehicle seizure as well. Ignition interlocks are required for the lifetime of the driver. Lifetime ignition interlock device and license suspension may be reviewed after five years. However, the limitations that a felony conviction puts on employment opportunities may never go away. If you have been arrested for driving while intoxicated, an experienced DUI defense in Albuquerque can help minimize the immediate penalties and lifetime consequences of conviction. At the Law Office of Mark Keller in Albuquerque, NM, we thoroughly investigate the circumstances surrounding your arrest to make sure your rights were upheld. We fight to get charges reduced or dismissed and build effective defense cases so that our clients never face more than the mandatory penalties under DWI sentencing guidelines. To discuss your case with an experienced criminal defense attorney, contact us today to schedule a free consultation. 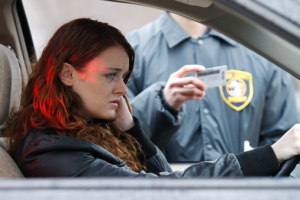 Fight to protect your future from driving while intoxicated charges. Call (505) 842-1440 for a free consultation with an experienced DWI defense lawyer.